Josh and Valeri have filmed weddings from Orlando, to Detroit, to Philadelphia, and Manila, and have since committed to capturing beautiful moments all over the world; merging Josh's eye for editing and Valeri's ear for sentimental music-- because your story deserves to be told in a way that's as unique as you. Josh is an award-winning filmmaker with over 10 years of experience. 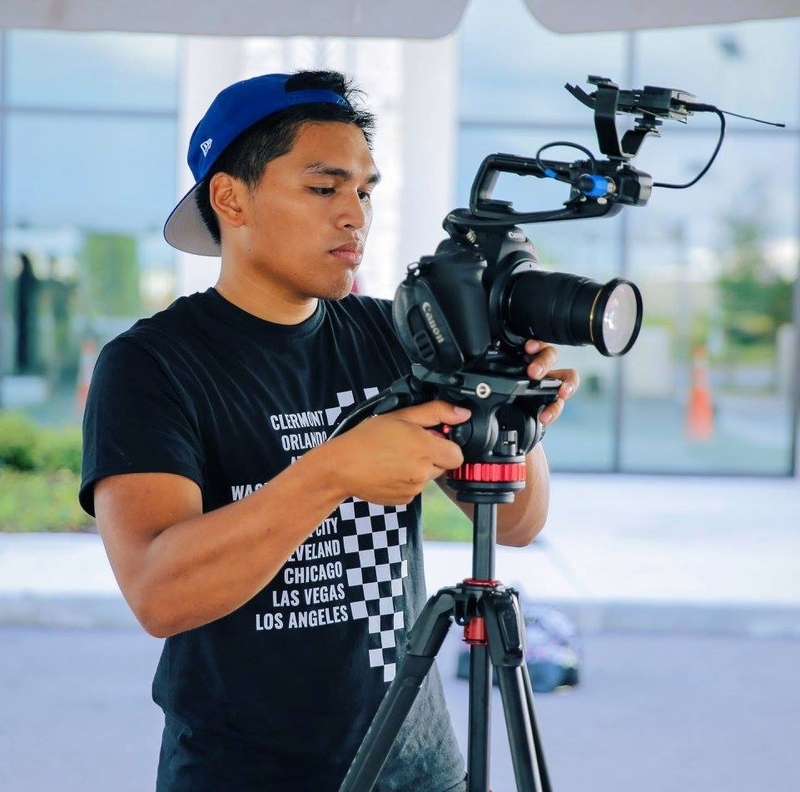 In 2014, he submitted his short film Listen to Ben Affleck and Matt Damon's HBO TV Show Project Greenlight and was awarded Most Unique Short Film, standing out against thousands of entries from across the nation. In 2015, his film Wake Up won Best Film at the Orlando 48 Hour Film Project. Out of 4,500 entries, Wake Up was chosen as 1 of the 12 international short films to screen at the 2016 Festival De Cannes. He has produced videos for star athlete and actor Shaquille O'Neal, Celebrity Chef Buddy Valastro aka The Cake Boss, as well as international companies such as Booking.com. Ortiz has been featured on NBC News, Yahoo, Orlando Weekly, The Daily Dot, Rappler and several other international news outlets. In 2016, Ortiz was a camera operator on a show for the History Channel. Valeri is an award-winning musician and composer. Last year, she was awarded Best Sound Design in the 2016 Orlando 48 Hour Film Project, and this year, she was awarded Best Music in the 2017 Orlando 48 Hour Film Project. Wallace is currently studying with the Berklee College of Music for a degree in Composition and Orchestration for Film and Television. As a classically trained pianist, she has experience in accompanying as well as soloing, and arranging along with composing.